Do you need commercial locksmith service in Smyrna area? Call the expert locksmiths at GreenPro for any type of commercial locksmith, lockout and lock replacement services in Smyrna, GA.
Security is always a priority, regardless of the type of business you operate. This is the reason why GreenPro Locksmith offers are customized commercial locksmith Smyrna service that is all-inclusive and fits into your business plan and strategy. The commercial locksmith Smyrna services will not only safeguard your valuable commercial properties, but they will also ensure that your staffs are well-protected within the premise. Commercial entities can hire a professional commercial locksmith Smyrna technician for an efficient lock system that will reduce redundancy, and increase productivity. There are commercial organizations that waste hundreds of valuable hours monthly or yearly through difficult and complicated lock systems. What type of commercial locksmith services can you get from GreenPro Locksmith? GreenPro Locksmith offers a wide range of business locksmith Smyrna services, these could vary from smart locks to coded locks, key replacement, rekeying and lock replacement, repair, and installation. It is always ideal to contact GreenPro Locksmith to have a professional commercial locksmith technician to inspect the commercial locks before making a suggestion. GreenPro Locksmith offers 100% transparent and honest commercial locksmith contract deals, and you get an honest quote for your commercial locksmith service. Commercial locks (including the ones for safes and cabinets). Lock change, repair, and installation. lock rekeying, replacement and duplication. GreenPro Locksmith also offers the installation, replacement, and repair of commercial security systems such as; Keyless entry, security cameras, and Access control systems. Perhaps the Access control system installation is one of the most convenient, yet sophisticated commercial locksmith service that will benefit your commercial enterprise tremendously. The Access control security system is particularly ideal if you want restricted access for commercial workers and visitors. With the Access control system, you can restrict movements or access based on fingerprint, cards or by entering some set of codes into the security system. One good thing about this security system is that you can reset the passcodes at any time. Just like the Access control security system for business locksmith Smyrna services, the keyless entry also helps you restrict access to certain areas of your commercial premise. There is a wide range of key entry locks for different budgets and applications, GreenPro Locksmith will send a business locksmith Smyrna technician to inspect your needs and provide the right type of keyless entry that will serve your purpose and needs. Having the right business locksmith solution for your commercial entity starts with choosing the right professional locksmith technician. In addition to providing the most suitable security systems for your commercial premises, GreenPro Locksmith also provides 100% effective and recommendable security accessories such as Deadbolt locks, Mortise locks, lock cylinders, Doorknob locks, smart door locks, fire-proof safes, commercial doors, panic bars, and door closers, just to mention a few. GreenPro Locksmith will never compromise on the safety of your commercial entities and that is why we offer only the tested and trusted security devices for commercial organizations. Do you know how fast someone can get into your house? You may be very surprised at this answer but it all bothers down on your security choices for your home. The recent reports on the invasion of homes all around the country paint a gloomy picture, and you just have to be prepared if you don’t want to become the next victim and part of the statistics. How to Choose the Right Safe? Having a safe is one of the best options when it comes to protecting your valuable items. You need to consider certain factors before choosing the right safe for your needs, and whatever the safe you deserve, GreenPro Locksmith have you covered for the supply and installation of such essential security devices. There is a wide range of different types of locks today, and knowing them will help you ascertain which type of locks you should request for. 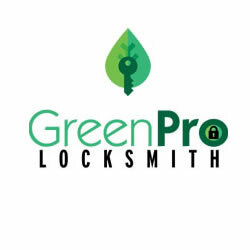 If you still unsure of the type of lock necessary for your home or commercial premise, you can contact GreenPro Locksmith to send a technician to examine your lock requirements before upgrading or replacing the lock.